A video is at the bottom of the page for a visual walk through. This unit was sent to me to review with my honest opinion and results below. 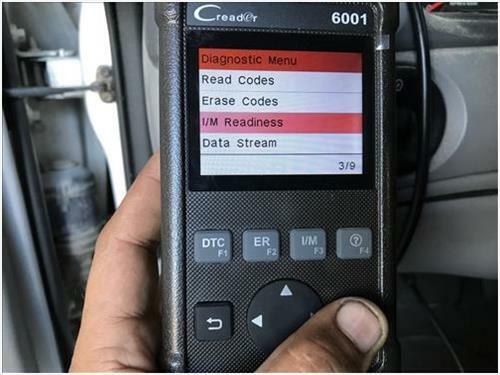 Congress passed the clean air act in 1970 and started the epa, however it wasn’t until January 1st 1996 that all vehicles were required to have OBD (on-board diagnostics) systems. Some manufactures installed them as early as 1994. 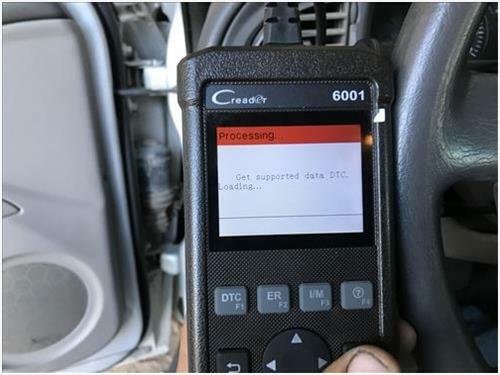 There are many types of OBD2 scanners. Not all scanners are the same. 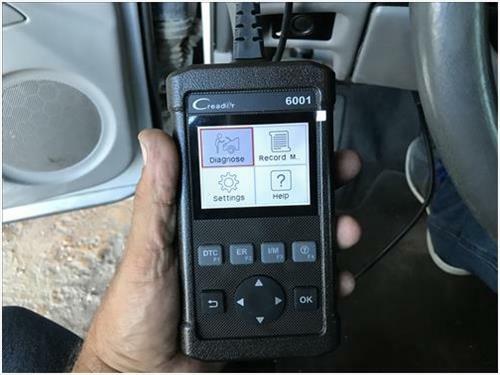 In this review I want to share with you on the operation and functions of the Launch C-Reader 6001. 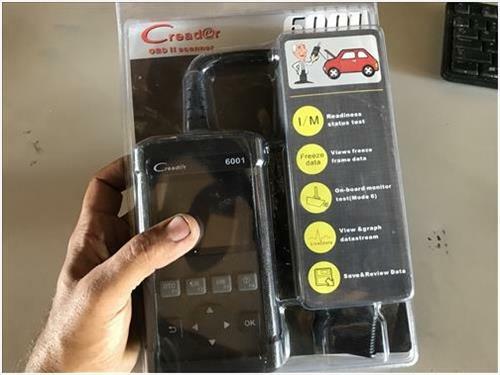 Although the packaging is somewhat of an assembly line package, do not let this fool you in the operation and functions of the C-Reader 6001 in my opinion. Included in the package you will receive a USB cable. 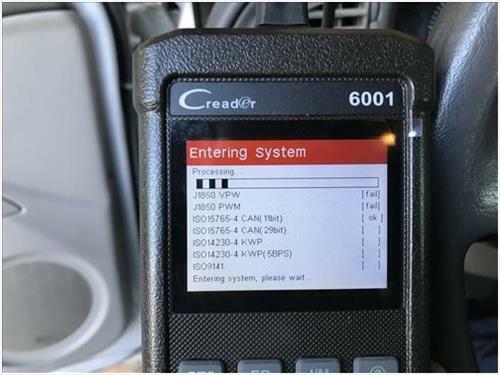 Although unlike most OBD 2 scanners the 6001 does not require internet access to view the description of the code. The USB cable included is to update the unit. 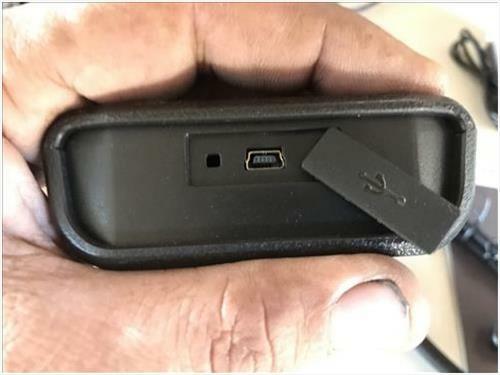 If you find you have come across the statement “This vehicle is not supported” while using the C-Reader, plug in the USB cable to your C-Reader and PC and try updating the unit. This can be done by going online to www.dbscar.com . This will also allow you to view your C readers personal information. 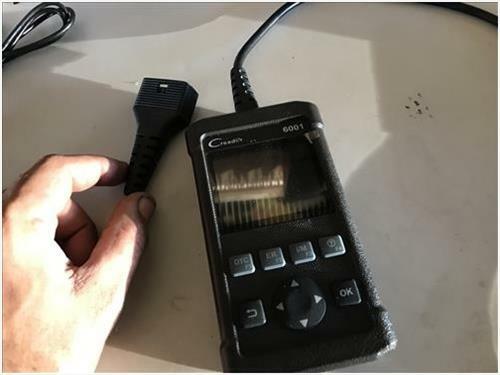 When looking at the pin out on the 6001 I am always looking for 16 pin when I want to purchase a OBDII scanner. Some scanners have 9-16 pins. 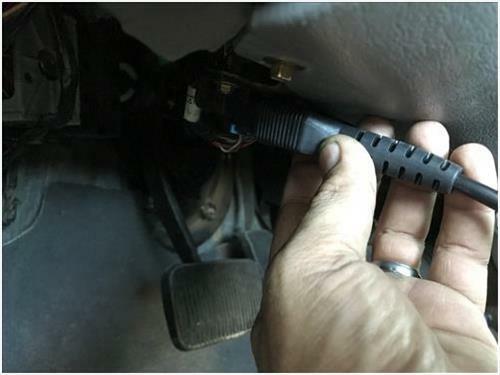 By choosing a 16 pin you can rest assure there will be more functions of the OBD than there would be with a 9 or 13 pin. 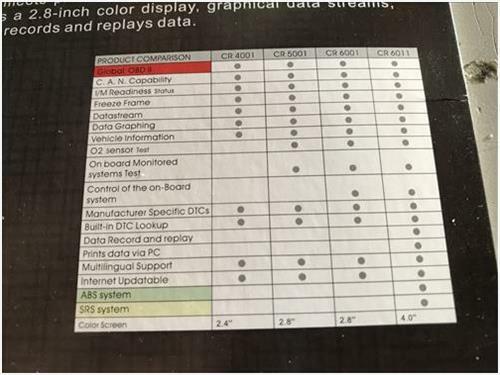 I was most interested in the unit because of the features that most OBD scanners do not have. The 6001 is made up of a hard scratch resistant material that does not need a bag or case to protect it in my opinion. I simply toss it in my tool bag or tool box knowing I have not damaged it. 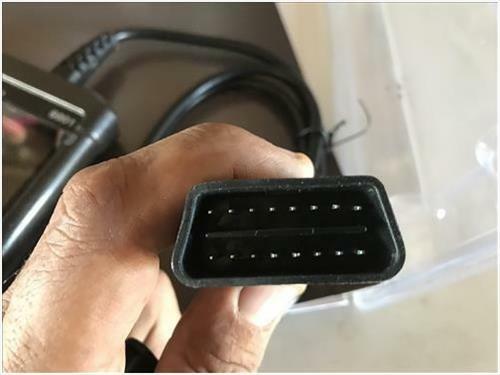 When connecting the unit to your vehicle look under the dash on the drivers side for this OBD connector port. Then turn your car ignition to the on position. 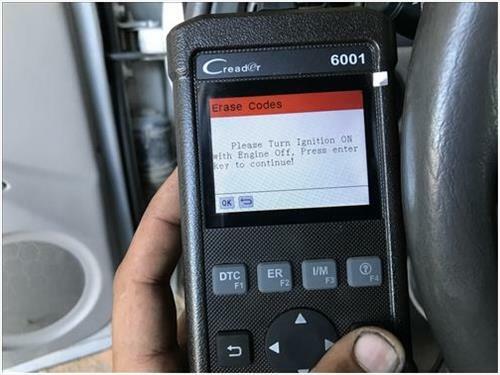 The C-Reader 6001 will turn on automatically and give you four options. 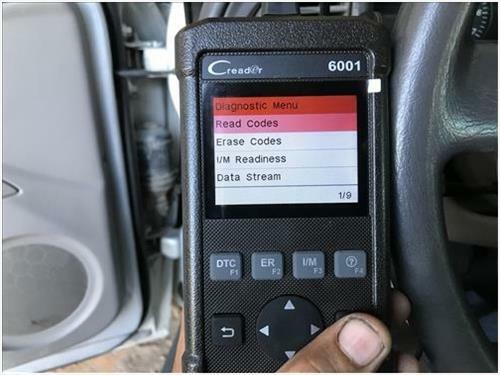 Choose diagnose to read your vehicles codes, then click OK. The C reader 6001 will then start processing. It will gather all your vehicles information so that it is view-able on the screen. The view-able information can be viewed or recorded, or even printed straight to your PC. The unit will also allow you to view graphs of each operation. 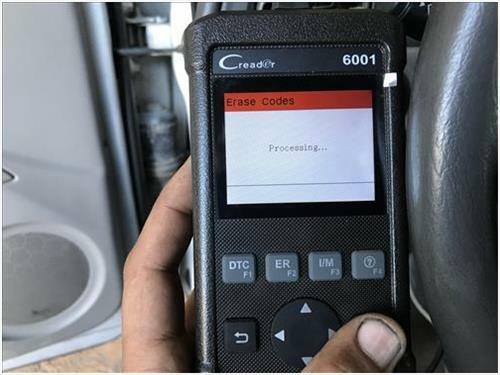 After the processing is done you will be able to determine if the MIL Status is on or off and the display will allow you to see how many codes your vehicle has. How many readinesses are available as well as how many are not available? How many are not supported and how many data stream are supported. Click OK to read codes on the bottom right corner of the screen. It will then take you a screen that will start loading your view-able information. 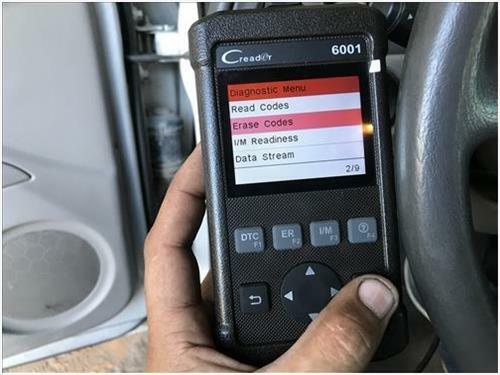 Most code readers at this time will show you the code that your vehicle is throwing, and you would then locate your code in a book or Google the code. In this case the first code shown is P0171 after a little research you will determine that this code means “System is to lean on bank one”. 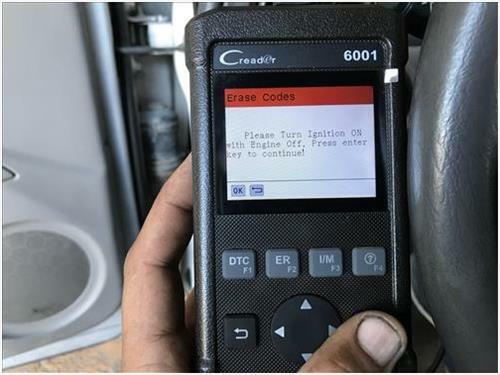 With the C-Reader 6001 it will not only show the code value, but it will also give the description of the code. Allowing you to view the code without a book or online access for your search of the codes meaning. Another example would be a P0300 code. It is a generic code for a random multiply cylinder misfire detected. Once again the 6001 will display the code value ( P0300) and the definition of the code without researching a book or the internet. By clicking back you will now return back to the main menu were you will see the four options once again. Now we will choose erase codes. 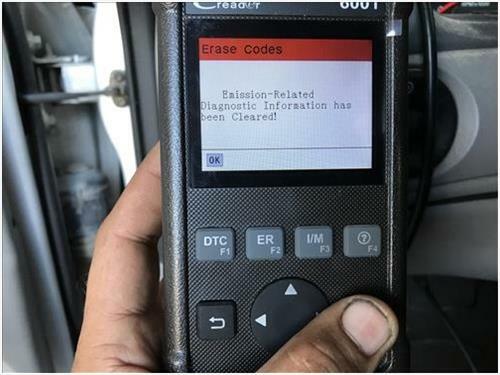 Remember erasing codes without solving the issue will allow the ECM to read the same problem and through the same code after a short drive. 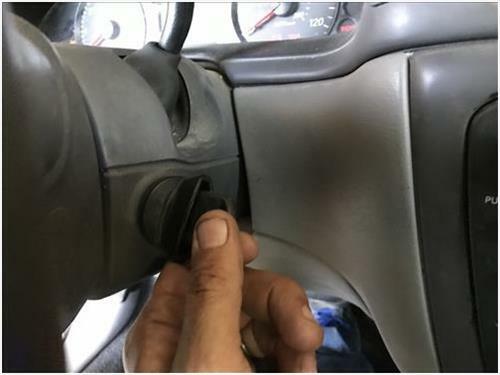 If you have fixed the problem the engine light can resume on until the code is clear. The ECM must be told what you would like to do. 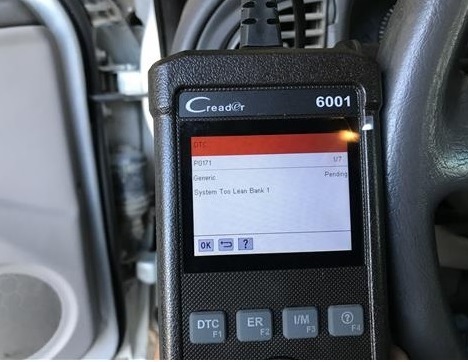 So in this case the repair was completed and now we must tell the ECM we have made the repair and would like to get rid of the check engine light. Scroll to erase codes and click OK. The next screen you see is telling asking you if you are certain you want the codes cleared. 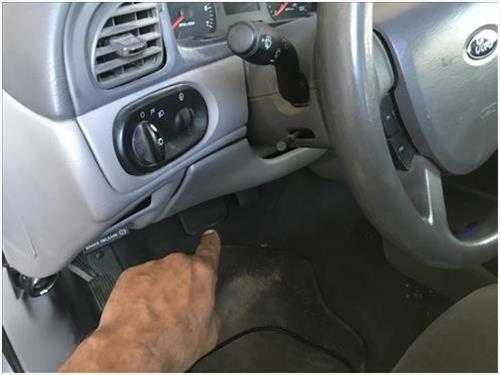 Once again click OK.
and the vehicle is not Running. Once you have determined that the veicle is not running and the key is in the on position, click ok again. 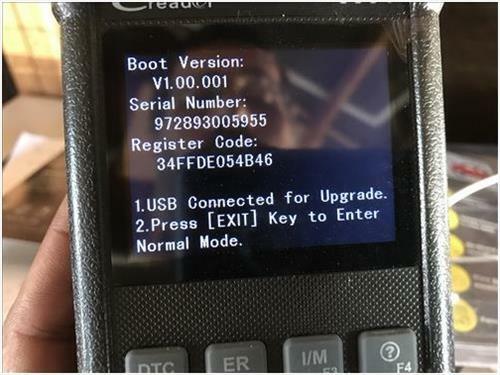 The C-Reader 6001 will then start to process your request. 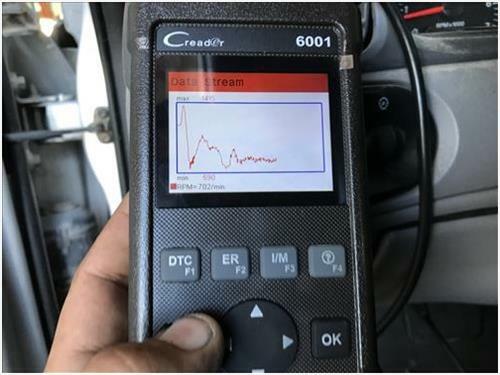 When it is complete you will then see emission related diagnostic information has been cleared. 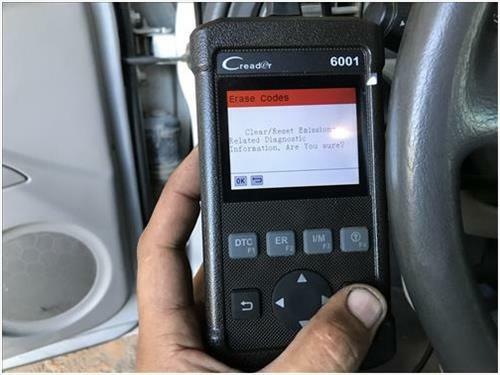 Then the next screen will be ( the vehicle has no fault codes) Congratulations you have successfully cleared your engine light. Now let’s click back once again to the main menu. You can choose ( since the dtc s cleared ) or ( this drive cycle). We have already cleared the DTC S so we will now choose this drive cycle. 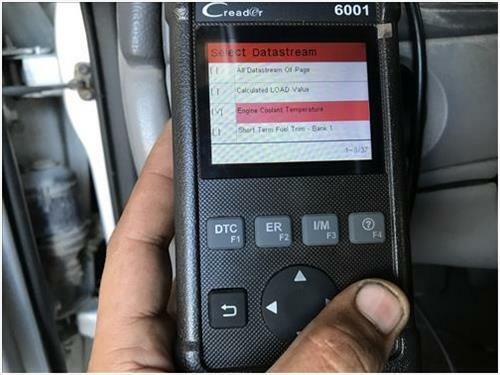 I personally enjoy this feature because it allows me to view data while the vehicle is at idle, or while I am in the passenger’s seat and a driver is assisting me in the diagnostic of a vehicle. I am able to ask the driver to speed up, or slow down depending on what I am viewing or what I want to determine with the vehicle. Under this menu you will be able to view everything from engine speed, engine temperature, misfires, fuel systems, etc. all this while the vehicle is running. Simply scroll down through the pages of information at your finger tips. Now let’s click on a great feature. DataStream. While on DataStream you will have three options. Viewing all items will give you the option of scrolling through every item available for viewing. By clicking on select items, you can choose the value of each individual item. I enjoy this feature as well when trouble shooting a 02 sensor because it will tell me the output of each 02 sensor individually. You will know when you have made your choice because a (V) will show for the value of the item you have selected. This feature allows you to view your selected item in a graph form. The reason I enjoy this option is because in a graph form I can see as it moves. It tells you in real time as the problems are occurring. The directions that come with your C-Reader 6001 are about fourteen pages long, however only two of those pages are use for each language available. They are not much for explaining how it works so I hope this review answers a lot of your questions. 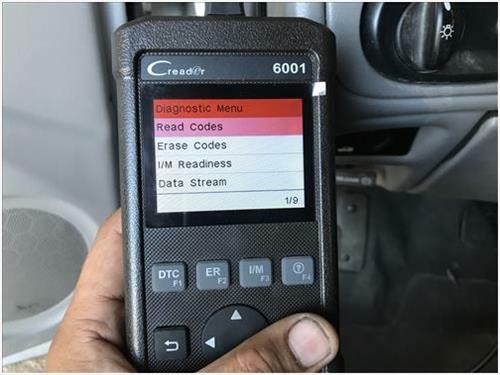 Please check out the video below for step by step directions in using your C-Reader 6001. I know you will enjoy using it as I have. The features and the options are great, whether you are a beginner or a novice in the auto industry. 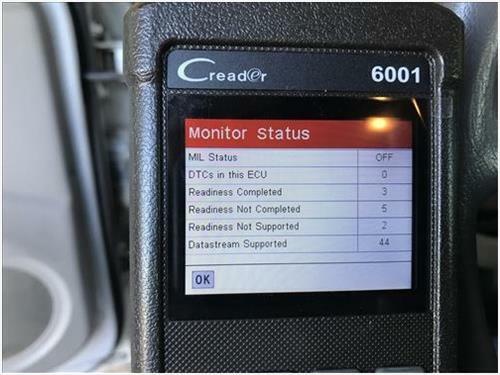 Does the Creader 6001 read O2 sensor voltages?